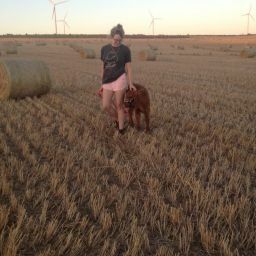 I grew up in Badgingarra – a small town that many people know only as the halfway point from Geraldton to Perth – on a typical mixed operation family farm that was over a third native bushland. A childhood enjoyed but in hindsight probably not fully appreciated by the few of us that were lucky enough to grow up in such a place. It was not until, at nine years old, sitting in a classroom listening to a CALM Officer speak about the degradation of the natural environment that I even realised that the healthy environment that I lived in was not necessarily what the rest of the world was like. This realisation has continued to shape the way I see the world and is a major driver behind my desire to see the agricultural landscape maintained and improved for future generations. 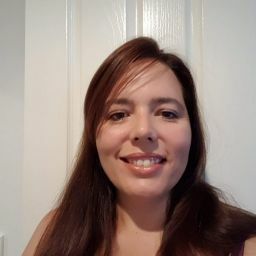 In high school I held no particularly interest in furthering my learning – like most teenagers I was more interested in just about anything else with the only classes I ever really enjoyed being earth and environmental sciences. 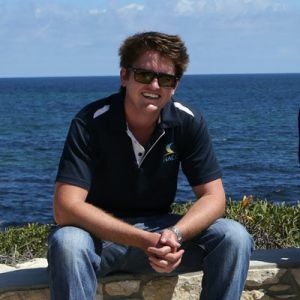 It was these particular classes that drove me – with some less than subtle encouragement from my parents – to move to Perth and study at university, graduating in 2012 with a Bachelor’s Degree in Science with a Major in Land Management and Conservation Biology. 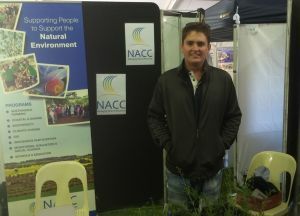 My career with NACC started in 2013, when I was contacted to fill a temporary role to help determine the effectiveness of shrubs in reducing wind erosion within paddocks. At the end of that contract I was hooked on NRM – and I have not looked back since. I have since held several roles in the Sustainable Agricultural Program going from Natural Resource Management Officer to Project Officer and becoming a Project Manager and as of January 2018, the Sustainable Agriculture Program Lead. 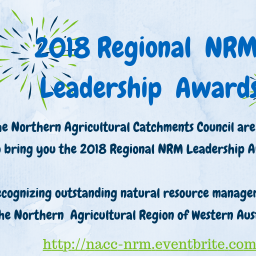 It has been a great experience working for NACC and I have been fortunate enough to see several projects through from start to finish – with one of the many highlights being helping farmers tackle environmental issues and ensuring the sustainability of their natural resources. While the future is never certain I look forward to further contributing to the NACC Region and supporting many more farmers with many more projects in the process.